This is “Introduction to Polynomials”, section 5.2 from the book Beginning Algebra (v. 1.0). For details on it (including licensing), click here. Identify a polynomial and determine its degree. Evaluate a polynomial for given values of the variables. Evaluate a polynomial using function notation. A polynomialAn algebraic expression consisting of terms with real number coefficients and variables with whole number exponents. is a special algebraic expression with terms that consist of real number coefficients and variable factors with whole number exponents. Polynomials do not have variables in the denominator of any term. The degree of a termThe exponent of the variable; if there is more than one variable in the term, the degree of the term is the sum their exponents. in a polynomial is defined to be the exponent of the variable, or if there is more than one variable in the term, the degree is the sum of their exponents. Recall that x0=1; any constant term can be written as a product of x0 and itself. Hence the degree of a constant term is 0. The degree of a polynomialThe largest degree of all of its terms. is the largest degree of all of its terms. 4 , because 5xy3 has degree 4. In this text, we will call polynomials with four or more terms simply polynomials. Example 1: Classify and state the degree: 7x2−4x5−1. Solution: Here there are three terms. The highest variable exponent is 5. Therefore, this is a trinomial of degree 5. Example 2: Classify and state the degree: 12a5bc3. Solution: Since the expression consists of only multiplication, it is one term, a monomial. The variable part can be written as a5b1c3; hence its degree is 5+1+3=9. Example 3: Classify and state the degree: 4x2y−6xy4+5x3y3+4. Solution: The term 4x2y has degree 3; −6xy4 has degree 5; 5x3y3 has degree 6; and the constant term 4 has degree 0. Therefore, the polynomial has 4 terms with degree 6. 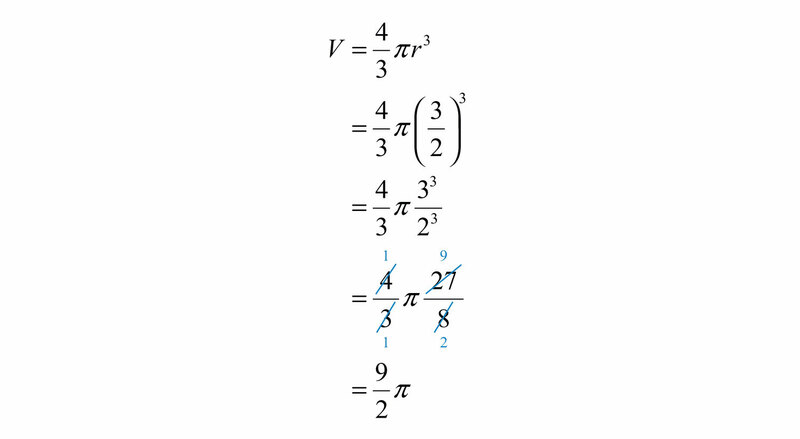 Typically, we arrange terms of polynomials in descending order based on the degree of each term. The leading coefficientThe coefficient of the term with the largest degree. is the coefficient of the variable with the highest power, in this case, an. Example 4: Write in standard form: 3x−4x2+5x3+7−2x4. In this text, we call any polynomial of degree n≥4 an nth-degree polynomial. In other words, if the degree is 4, we call the polynomial a fourth-degree polynomial. If the degree is 5, we call it a fifth-degree polynomial, and so on. 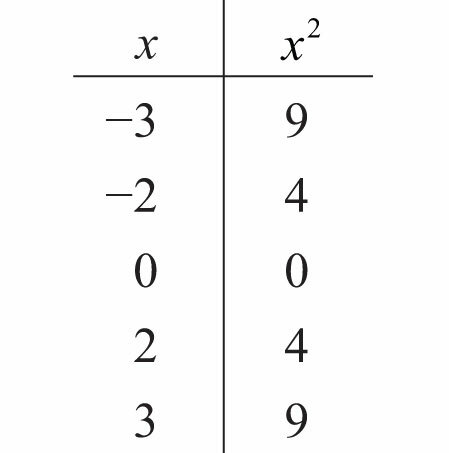 Given the values for the variables in a polynomial, we can substitute and simplify using the order of operations. Example 5: Evaluate: 3x−1, where x=−32. Solution: First, replace the variable with parentheses and then substitute the given value. Example 6: Evaluate: 3x2+2x−1, where x=−1. Example 7: Evaluate: −2a2b+ab2−7, where a=3 and b=−2. Example 8: The volume of a sphere in cubic units is given by the formula V=43πr3, where r is the radius. Calculate the volume of a sphere with radius r=32 meters. Try this! Evaluate: x3−x2+4x−2, where x=−3. Since there are no restrictions on the values for x, the domain of any polynomial function consists of all real numbers. Example 9: Calculate: f(5), given f(x)=−2x2+5x+10. Solution: Recall that the function notation f(5) indicates we should evaluate the function when x=5. Replace every instance of the variable x with the value 5. Example 10: Calculate: f(−1), given f(x)=−x3+2x2−4x+1. Solution: Replace the variable x with −1. Try this! Given g(x)=x3−2x2−x−4, calculate g(−1). Polynomials are special algebraic expressions where the terms are the products of real numbers and variables with whole number exponents. The degree of a polynomial with one variable is the largest exponent of the variable found in any term. The terms of a polynomial are typically arranged in descending order based on the degree of each term. When evaluating a polynomial, it is a good practice to replace all variables with parentheses and then substitute the appropriate values. Classify the given polynomial as linear, quadratic, or cubic. Classify the given polynomial as a monomial, binomial, or trinomial and state the degree. 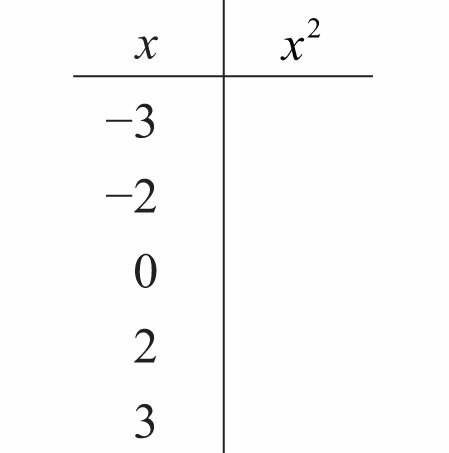 Write the following polynomials in standard form. For each problem, evaluate b2−4ac, given the following values. The volume of a sphere in cubic units is given by the formula V=43πr3, where r is the radius. For each problem, calculate the volume of a sphere given the following radii. The height in feet of a projectile launched vertically from the ground with an initial velocity v0 in feet per second is given by the formula h=−16t2+v0t, where t represents time in seconds. For each problem, calculate the height of the projectile given the following initial velocity and times. The stopping distance of a car, taking into account an average reaction time, can be estimated with the formula d=0.05v2+1.5, where d is in feet and v is the speed in miles per hour. For each problem, calculate the stopping distance of a car traveling at the given speeds. 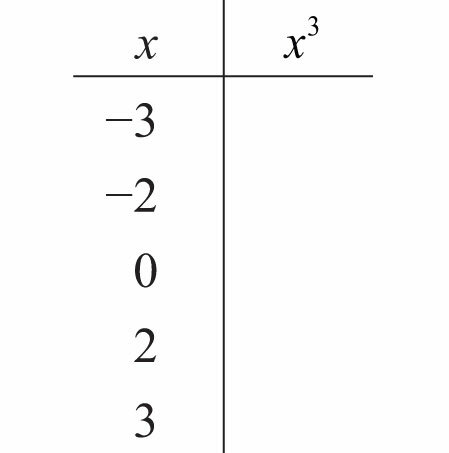 Given the linear function f(x)=23x+6, evaluate each of the following. 77. Find x when f(x)=10. 78. Find x when f(x)=−4. Given the quadratic function f(x)=2x2−3x+5, evaluate each of the following. Given the cubic function g(x)=x3−x2+x−1, evaluate each of the following. The height in feet of a projectile launched vertically from the ground with an initial velocity of 128 feet per second is given by the function h(t)=−16t2+128t, where t is in seconds. Calculate and interpret the following. 95. Find and share some graphs of polynomial functions. 96. Explain how to convert feet per second into miles per hour. 97. Find and share the names of fourth-degree, fifth-degree, and higher polynomials. 87: The projectile is launched from the ground. 89: The projectile is 112 feet above the ground 1 second after launch. 91: The projectile is 256 feet above the ground 4 seconds after launch. 93: The projectile is 112 feet above the ground 7 seconds after launch.